Israeli soldiers abducted, on Thursday at dawn, two young Palestinian men in the West Bank city of Bethlehem, after invading their homes and violently searching them. 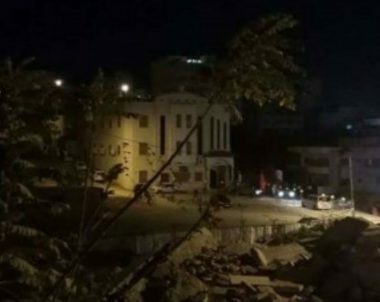 The Bethlehem office of the Palestinian Prisoners’ Society (PPS) said many army jeeps invaded Wadi Ma’ali area, in the center of the city, before the soldiers abducted Ahmad Jamal al-Hreimi, 20. It added that the soldiers also invaded Jabal al-Mawaleh area, in the city, and abducted Salah Awwad Jawareesh, 20. It is worth mentioning that the soldiers abducted Jawareesh to pressure his brother, Mohammad, to turn himself in to the army.